Description Hubler Q Certified, CARFAX 1-Owner, Excellent Condition, ONLY 25,696 Miles! JUST REPRICED FROM $17,995, $1,000 below NADA Retail!, FUEL EFFICIENT 25 MPG Hwy/20 MPG City! 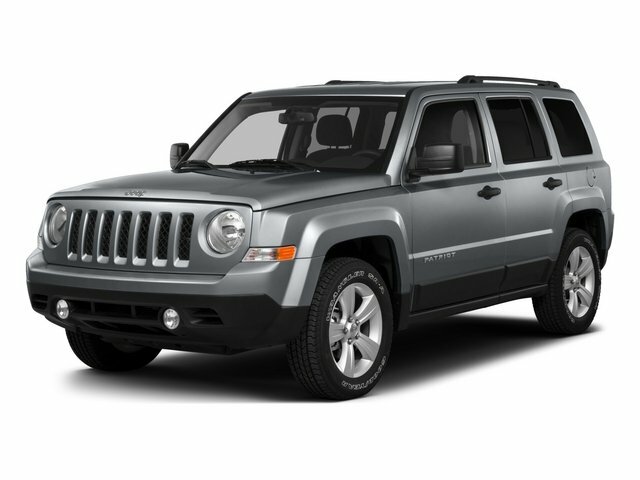 Moonroof, Heated Seats, Aluminum Wheels, Bluetooth, iPod/MP3 Input, 4x4, TRANSMISSION: 6-SPEED AUTOMATIC, QUICK ORDER PACKAGE 23G HIGH ALTITUDE... ENGINE: 2.4L I4 DOHC 16V DUAL VVT, RADIO: 430 CLICK NOW! Heated Driver Seat, iPod/MP3 Input, Bluetooth, Heated Seats 4x4, Aluminum Wheels, Privacy Glass, Keyless Entry, Steering Wheel Controls. QUICK ORDER PACKAGE 23G HIGH ALTITUDE EDITION Engine: 2.4L I4 DOHC 16V Dual VVT, Transmission: 6-Speed Automatic, Bright Exhaust Tip, Power Express Open/Close Sunroof, Remote Start System, Body Color Fascias w/Bright Insert, Power 6-Way Driver Seat, Bright Side Roof Rails, PARKVIEW REAR BACK-UP CAMERA, RADIO: 430 6.5" Touch Screen Display, 40GB Hard Drive w/28GB Available, ENGINE: 2.4L I4 DOHC 16V DUAL VVT (STD), TRANSMISSION: 6-SPEED AUTOMATIC Autostick Automatic Transmission, Tip Start (STD). Non-Smoker vehicle, Hubler Certified 2 Years from date of purchase or 100k miles, New brakes installed. Was $17,995. This Patriot is priced $1,000 below NADA Retail.